Unità Echo utilizzata da diversi gruppi progressive italiani anni '70. Inconfondibile nel sound dei Pink Floyd, nella foto il Binson Echorec del Balletto di Bronzo. www.giampaolonoto.it ha scritto: Ma cosa è e come funziona il BINSON ECHOREC ? Si tratta di una unità echo introdotta sul mercato negli anni ’60 dalla italianissima BINSON, con sede a Milano (Settimo Milanese) fondata dal progettista stesso dell’ECHOREC ing. Bonfiglio Bini. Tecnicamente si tratta della stessa idea usata per realizzare i classici echo a nastro, però al posto del nastro in questo caso viene utilizzato un disco in metallo sulla cui circonferenza esterna viene avvolto a spirale un sottile filo metallico magnetico. Intorno al disco ci sono 5 testine , di cui una usata per la registrazione e le altre quattro per la riproduzione. Il tutto gestito con 6 valvole 12AX7. 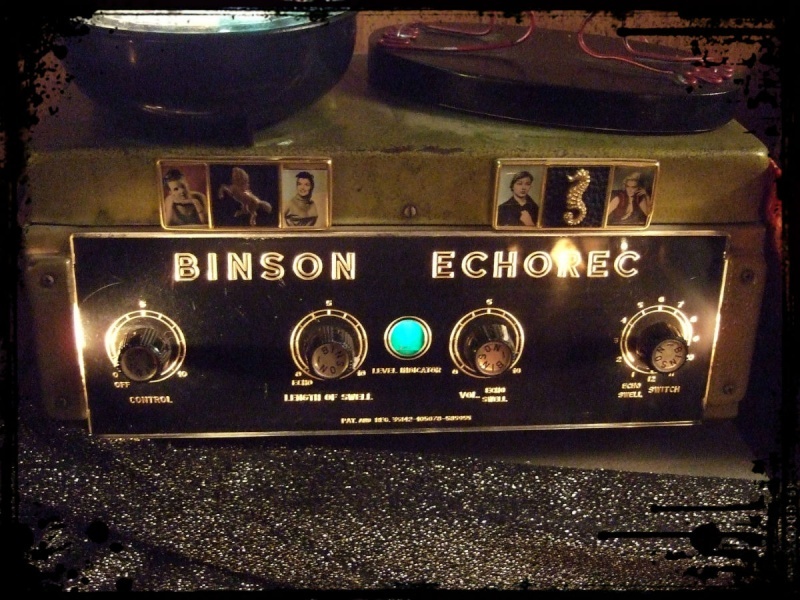 Binson was an early manufacturer of echo machines. 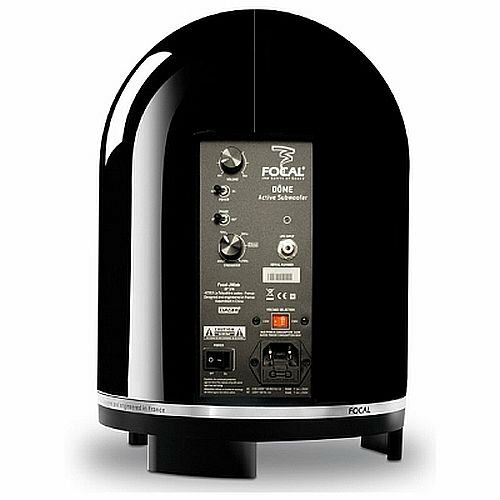 Unlike most other analog echo machines, they used an analog magnetic drum recorder instead of a tape loop. Their most famous product was the Binson Echorec. Two of the most famous users of Binson units were Pink Floyd's original frontman Syd Barrett and guitarist David Gilmour. The classic Binson delay effect can be heard on songs such as "Interstellar Overdrive", "Astronomy Domine", "Shine on You Crazy Diamond" and "Time". Jimmy Page of Led Zeppelin also used a Binson echo unit which was used on the drums in "When the Levee Breaks." Binson echo units were also used by Hawkwind, and more recently by Tarantula Hawk. Jon Courtney of British Nu-Prog band Pure Reason Revolution is also a frequent user of the Binson units. In Pink Floyd's 23-minute long song "Echoes", Roger Waters used a Binson Echorec to create the eerie underwater wind noise heard during the first interlude (10:40-15:02 on studio recordings, underneath the screaming whale song produced by Gilmour); he vibrated the strings of his bass guitar with a steel slide and fed the sound through the Echorec. Waters reproduced this sound during live performances. The Binson Echorec was a major part of the early Pink Floyd sound, until they started to use the VCS3 Synthesizer in 1972. Conoscevo l'elettronica ma non sapevo che fosse prodotta in italia, è stata una bella sorpresa.